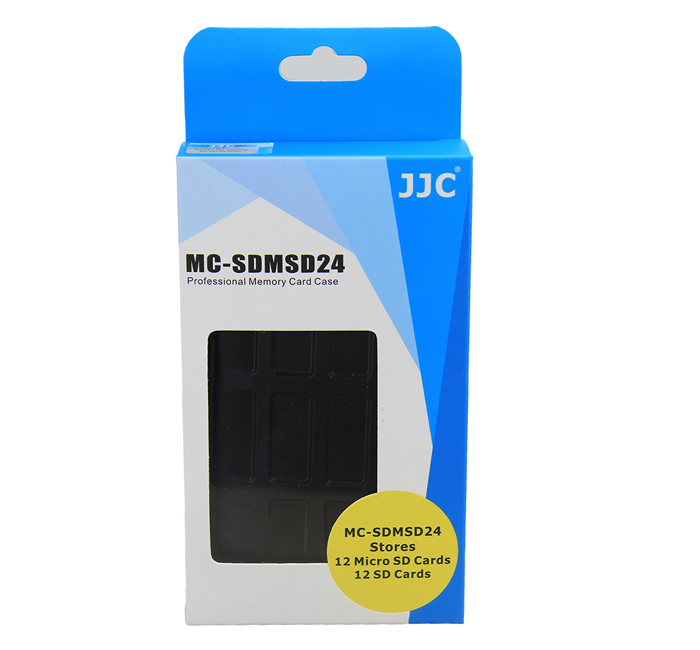 JJC MC Series Memory Card Case is a tough, water-resistant polycarbonate case made to carry and store memory cards. 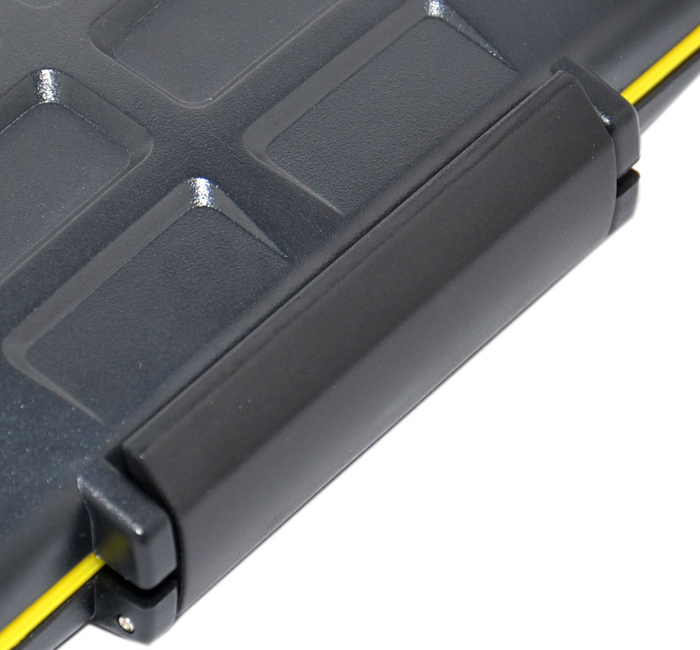 A molded protective rubber interior lining protects against harmful shocks, by securing each memory card within the MC case. 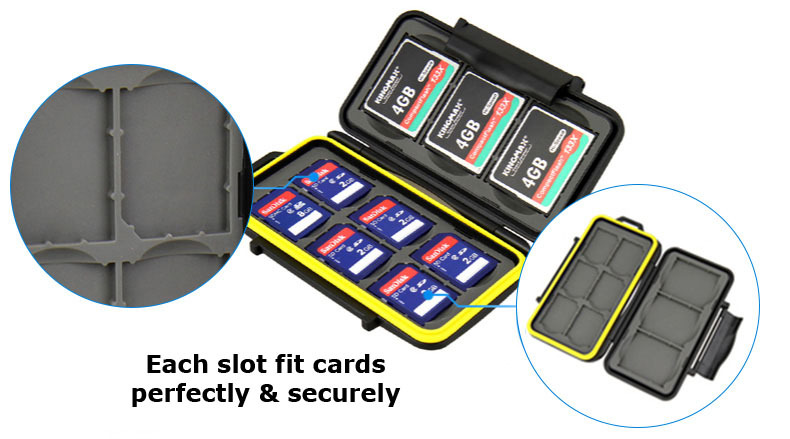 Each slot is strictly tailored to fit the card perfectly and protects the cards from going around. 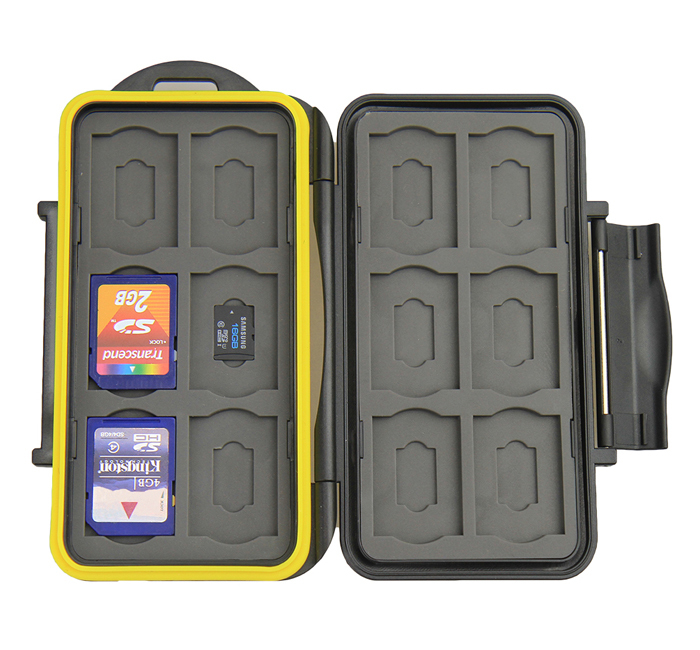 The case adopts a compact design, the two sides both allow you store memory cards. 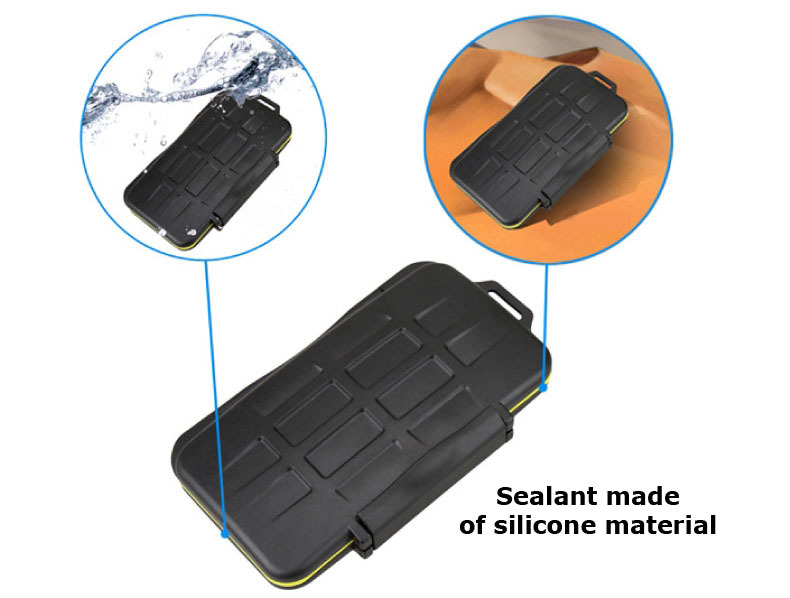 The water-resistant silicone seal keeps unwanted debris and water from entering the case. 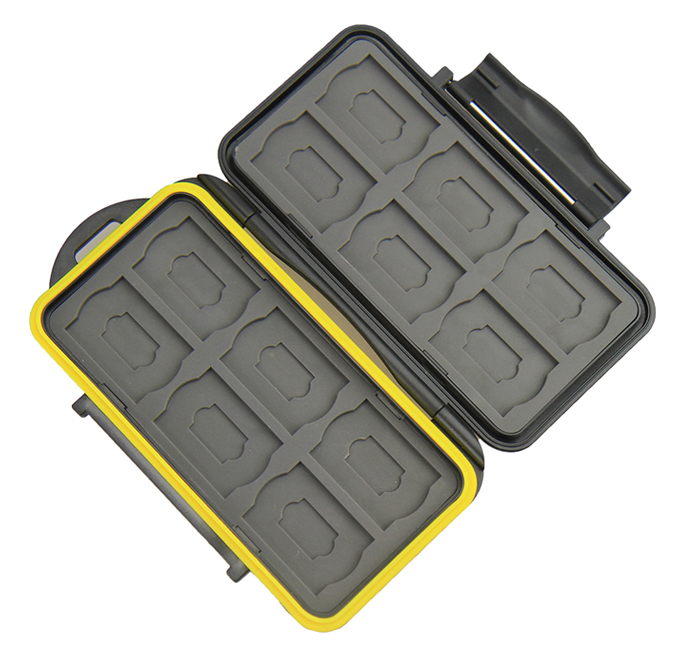 The ergonomic locking system keeps the cards securely in the case while allows you open it with your finger easily. 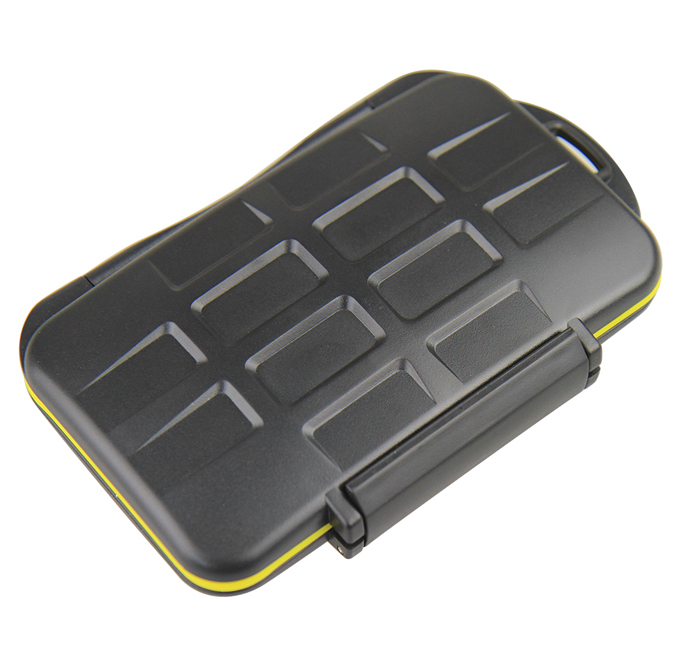 In addition, the side of the case has a hole for easy carrying. 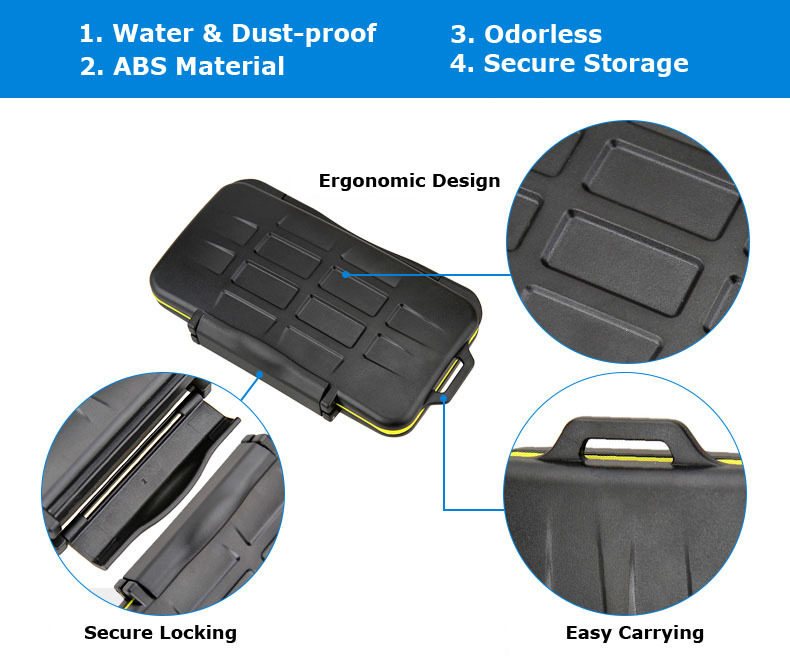 Pretty solid and tough, recommended. 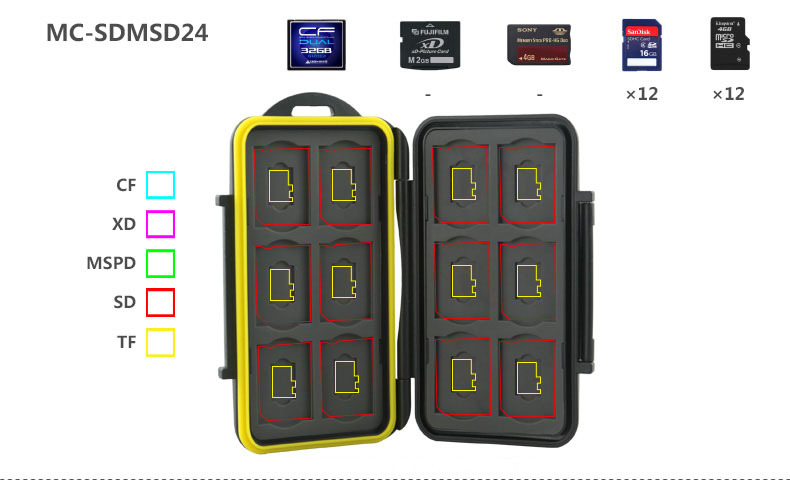 Good if you're filming with both mirorless/DSLR cameras and action cameras. Product arrived in good condition and was the cheapest I could find online.